Liquidity: Unlike jewellery or coins/bars, ETF units can be liquidated easily to benefit from rise in price of gold. 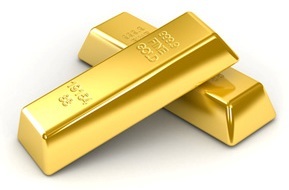 Cost Efficiency: Costs lower than buying, storing and insuring physical gold. Convenience: Post NFO: Buy and sell on the exchange.Can be bought and sold in small quantities – as low as 1 unit (approximately equivalent to 1 gram of gold). Rs.5000/- and in multiples of Re 1 during NFO.Investors can buy or sell units (minimum 1 unit) on a continuous basis on the National Stock Exchange or the Bombay Stock Exchange. The issue is open till 29 July ,2010. Why one should invest in Gold ? The word ‘Gold’, in India, invokes a number of emotions, for some it is a form of adornment and a status symbol. Through the years gold’s appeal in India has evolved from an object of pure aesthetic value to a commodity which offers itself as an avenue for investment and wealth creation. Also investing in gold allows investors, an diversification from other asset classes like Equity, Debt and Real Estate. Investors can allocate about 5-10% of their portfolio for Gold ETFs. There are many choices to invest in gold now. Is gold in a bubble stage ? @ Gold is not yet in a bubble stage. There are lot of concerns in Eurozone and in US.